Margaret Wente, the conservative and American-born columnist for the Globe and Mail, has penned a powerful endorsement for the change taking place in Canadian politics.Under the heading, With Liberals squeezed out, a new two-way race, Wente provides insight and reason. Reason enough to vote for the New Democrats. Back in the olden days, there were only two federal parties that mattered in Canada. Both were middle-of-the-road. Both had a string of mostly credible leaders. Every so often they traded places, but in truth it was hard to tell them apart. Then there was the idealistic wacko fringe, whose leaders were forgettable (sorry, Audrey and Alexa!) and whose popular vote rarely broke through 20 per cent. Now it's a new kind of two-way race. Now it's easy to tell the dominant parties apart. One party stands for lower taxes. The other party stands for helping people who have a hard time making ends meet. Both have credible, experienced leaders. The party in the middle has been squashed. As the commentator Norman Spector puts it, the choice is between the orange door and the blue door. The NDP has replaced the Liberals as the party that can stop Prime Minister Stephen Harper. If you hate what’s behind the blue door, your best bet is probably the orange door. The Conservative attack campaign against Justin Trudeau has been devastating. That’s because it confirms what everybody knows: Being PM is not an entry-level job, and Mr. Trudeau does not yet pass the competency test. It is the smartest ad campaign since the campaign that shredded Michael Ignatieff as the man who didn’t come back for you. And you will see it, over and over, until the Liberals have been knocked so far down that the Conservatives can turn their guns on Tom Mulcair. Stephen Harper's dream is to obliterate the Liberals for all time. He may well succeed. His greatest ally in this cause is Mr. Mulcair, who is everything that Mr. Trudeau is not. The Liberal leader is caught between two formidable adversaries, looking like a boy and shouting to be heard. His policies, too, are caught in the middle. In an election that will turn largely on the economy, he can't find a message that differentiates his party and resonates with voters. Mr. Harper\s attack against Tom Mulcair will be equally simple. The aim will be to sow fear and terror. Mr. Mulcair is too risky. He'll turn us into Greece, and then we’ll be sorry. Mr. Mulcair's strategy will be to keep putting on a smiley-face while reminding people why they hate Mr. Harper so much. He will try to imitate his mentor, Happy Jack, who took the NDP out of the wilderness toward the Promised Land. Mr. Layton didn't live to reach the Promised Land of 24 Sussex, but Mr. Mulcair could. Mr. Mulcair will be very careful not to sound like a scary radical. He will talk about being a uniter, not a divider, and about how much he believes in manufacturing and small business, and even pipelines, under the right conditions. His job is to present himself as a strong, competent, trustworthy and low-risk alternative to the status quo. His biography is a formidable asset. Mr. Trudeau was a trust-fund kid who inherited his dad's Mercedes and never had to do hard manual labour to make a living. Mr. Mulcair comes from a barely middle-class family of 10 kids who, as his campaign autobiography puts it, could make four sandwiches from a chicken wing. He worked construction to put himself through law school. He speaks perfect French and knows how to tar a roof. Mr. Trudeau's background is not his fault, but his professions of empathy with the struggling middle class lack a certain credibility. Despite the media's infatuation with Mr. Mulcair, he has a long way to go. He's still barely on the map in the Tory bastion of 905-land that rings Toronto. All sitting governments have a large incumbency advantage, and Mr. Harper's government is no exception. The Conservatives have a superb, sophisticated war machine that has turned hypersegmentation of the electorate into an advanced science. They know who you are, where you live, and whether they should bother with you or not. Don't believe anybody who pretends to know how this will turn out. The one thing I’m pretty sure of is that the old paradigm is dead. And it's not coming back. 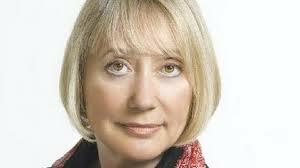 Margaret Wente's column appeared in the August 3, 2015, edition of The Globe and Mail.